There is a great excitement throughout the halls of Kajan, School of Life, as the High Council has announced a Trial of Nature's Grace! Ally with the legendary creatures of Xyleria - Harness their abilities, cast powerful spells, visit magical places, and master the elemental realms to become the next Druid of Nature's Grace! 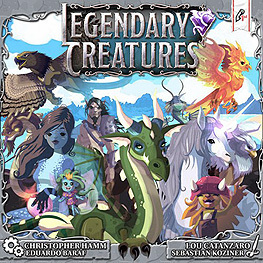 Use legendary creatures to accomplish incredible feats. Complete to become the next Druid of Nature's Grace. Thousands of ability combinations means tons of replayability!